We are proud members of the Association of Scottish Toastmasters. This really is a special addition to your special day or event and from initial meeting till the end of your event, we take great pride in making sure your day is handled with professionalism and dedication. After all the planning and preparations, you will want your Wedding Reception to run smoothly, and that’s where a Professional Toastmaster will be of great benefit. With a wealth of experience, the Scottish Toastmaster will co-ordinate the entire event, and also resolve any minor problems. Our Toastmasters liaise with everyone involved to ensure the day is run exactly as you wish. Ensure that the wedding breakfast is conducted with attention to protocol. Help photographers and video film crews to create a memorable visual record of the proceedings. Add a traditional and colourful touch to a wedding. Provide “peace of mind” for parents, and bride and groom. 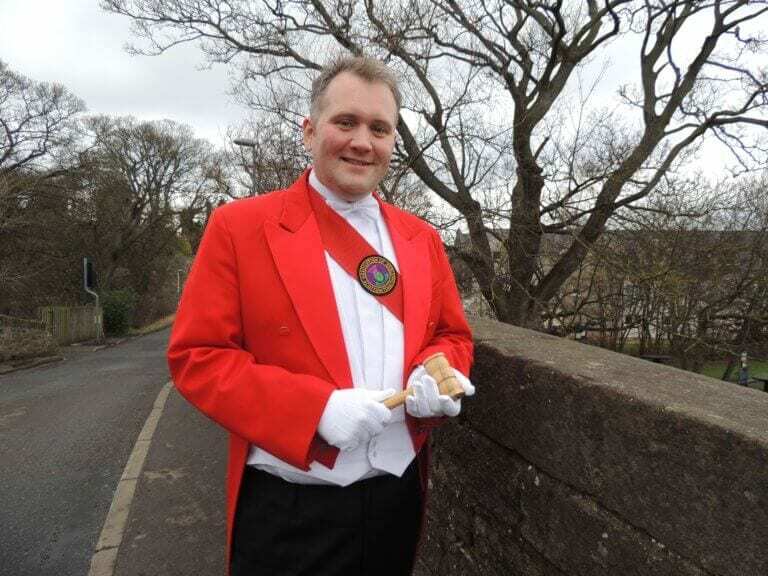 Even before your Big Day, your Toastmaster can offer advice on timings, speeches, etiquette, and will be only too happy to discuss your plans in detail.The Toastmaster’s traditional uniform, complete with red tail-coat, adds an extra splash of colour to the occasion. Coupled with professional conduct, tact and expertise, your Wedding Reception will be in safe and reliable hands. Would you like to have a Toastmaster at your wedding? Make an enquiry with us to see how we can add that extra bit of class.